Jaavalees are melodius songs which can be sung and performed as dances. Jaavali in its literary form is quite akin to Padam (a kind of folk song) and Daruvu (another kind of song with musical time beat). Jaavali is considered as a traditional musical form of Southern India. 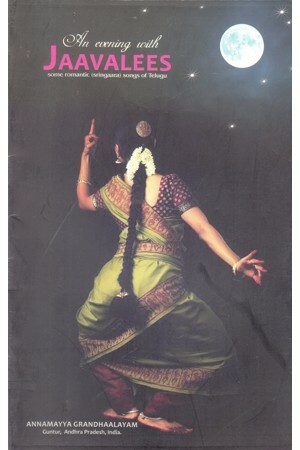 The ultimate aim of Jaavalees is to attain grace and rapture to the tune, the tone, the rhyme and the rhythm. The origin of Jaavali is traced back to the 19th century when Swathi Tirunal was composing songs. Some held the view that Swathi Tirunal himself was the first composer of Jaavali. According to Arudra, a famous poet and critic, Jaavalees were born in the 19th century in Travancore, were nurtured in Mysore and enjoyed their existence in Tamil Nadu and Andhra Pradesh. 90% of the Javalees available today are in Telugu only.